My local dealer contacted whoever their distributors are and quoted me a killer price on one... but said they weren't in stock. Looking around, have they even hit the market yet? I'm getting anxious because I want to see some solid reviews on this thing! I'd really love to be able to have better comparison to the Omega or Cyclone as those are similarly priced options. The only part of the Ti I saw there was the tube, they seem to be finishing with the L's and S's first. Any idea/indication on how the TI will stack up to the S or L? Same baffle stack as the -L. Our meter results have been virtually identical. Thanks for the info. 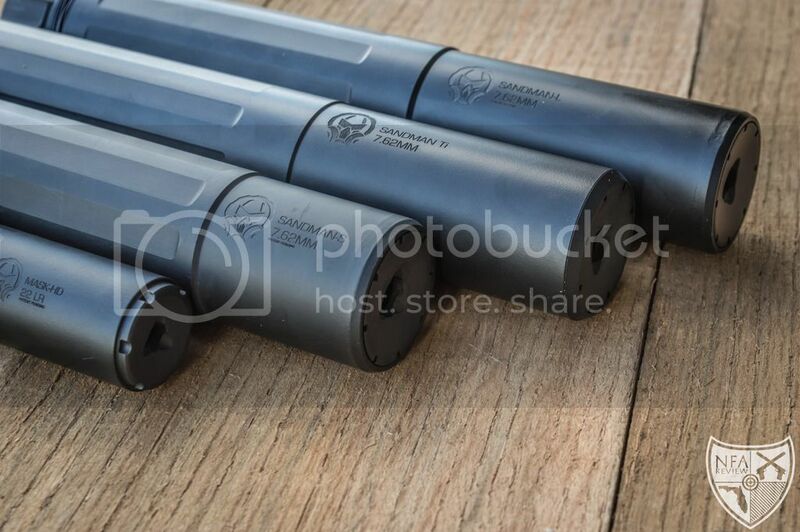 A 30+dB light titanium stelite silencer that's <$750... Choice made simple. So is there any reason to expect a direct thread module to released in the future for the Sandman-L or is the Ti pretty much the choice here? When might we see Ti's trickling onto the market ? Last edited by JoeyMac; 03-31-2015 at 06:33 PM. I don't see any reason why we couldn't make a direct thread module for the -L or -S. It's something that's been thrown around. We are planning on running some Ti's this month. "Very Soon" its guaranteed to arrive between now and the end of time with a higher chance of arriving on the "now" half of the time table. Although this means closer to now than "soon" there is no guarantee that you will live long enough to see the release. Since the endcap is removeable will there be a 556 version? It's out.....Full review pending on the Sandman Ti. The other ones shown all have reviews already uploaded to my channel. It took seven posts before someone said two weeks. Son I am disappoint. Yep. As soon as our new website is complete they will be available for purchase.